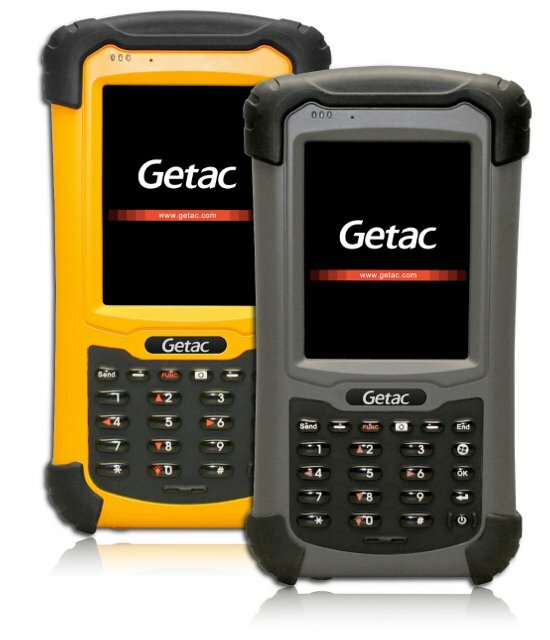 If you are looking for ruggedized handheld device that can be used to perform some mobile computing in harsh environment, GETAC recently announced handheld device with the name of PS236 may suit your need. Powered by Xscale based Marvell PXA310 processor clocking at 806MHz, the handheld device is compliant with MIL-STD 810G and IP67 suitable for various usage model in tough environments. Measured at 7.0 X 3.5 X 1.5-inch, the device is equipped with a 3.5-inch VGA resolution touch screen display enhanced with sunlight readable technology. Further supported by 128MB MDDR memory module and 4GB NAND flash soldered down memory for internal storage, the handheld device is quite suitable to run some normal office applications besides supporting additional features available in typical mobile devices. Some of them include GPS (Global Positioning System), Wi-Fi, Bluetooth, 3G as well as an embedded 3-Megapixel camera module. On top of these, it is featured with E-compass, altimeter that could potentially become good selling point for consumers as well as military use. No pricing and availability yet, the Windows Mobile 6.1 OS handheld device combines all the great feature sets needed by various segments and more importantly, its long lasting battery life of 10 hours continuous use could make it a good companion in any environment for much more effective work.